Verner Panton designed the Visiona Stool as part of the interior installation created in 1970 for his legendary Visiona exhibition in Cologne. MDF board with felt glides. 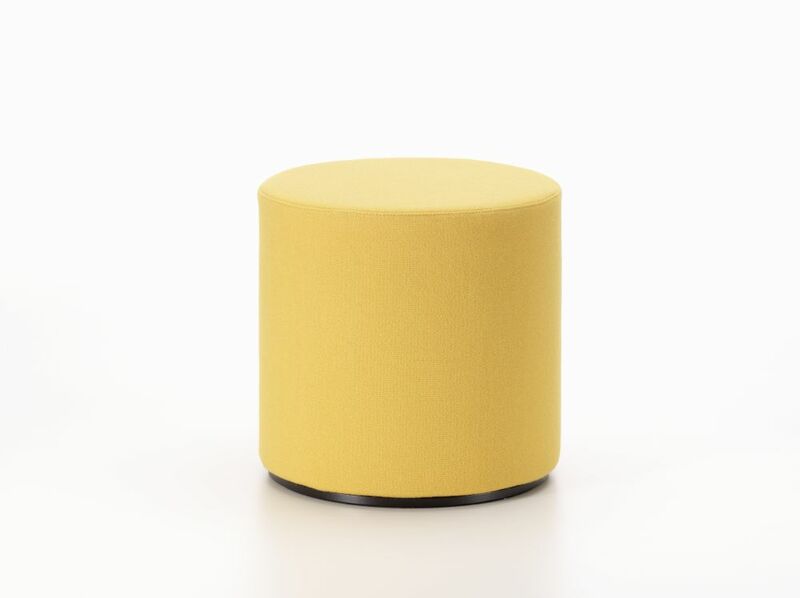 The compact upholstered stool not only provides practical and comfortable seating but also adds vibrant colour accents that can be coordinated with any interior, thanks to the large selection of fabric colours. The unobtrusive geometric shape allows the Visiona Stool to be paired with a wide range of furnishings. Due to its light weight, it can be easily repositioned and combined into spontaneous groupings. The robust fabric cover is secured with an elastic band, which makes it simple to remove and clean. Polyurethane foam with polystyrene core and polyester filling.